A steel cutting ceremony for the hull of Dong Bac’ bulk carrier 12,500DWT was held on 09 June 2013 at the Dong Bac shipyard in Ha Long city, Viet Nam. On 09 June 2013, Dong Bac shipyard held Steel Cutting ceremony for Hull No. 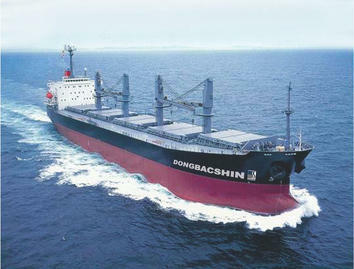 DB06, the 12,500 DWT Bulk Carrier under attendance of representative from Truong Minh owner, Rina class and the Yard.